Look mighty fine this Autumn Winter with our range of faux fur hooded coats and jackets. As the temperature drops, you'll be looking a whole lotta hawt in bang-on-trend women's oversized big fur hooded parka. 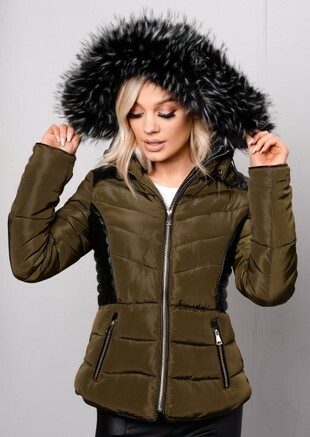 Look lit Lily Lulu style with a women's coat from our collection, which includes fur hooded quilted coats, padded jackets, and puffer jackets too. That's not to mention this season's signature coat, the oversized fur hooded parka in black, grey, khaki, even brights. Wrap up warm and work it gurl. Autumn Winter looks good on you.